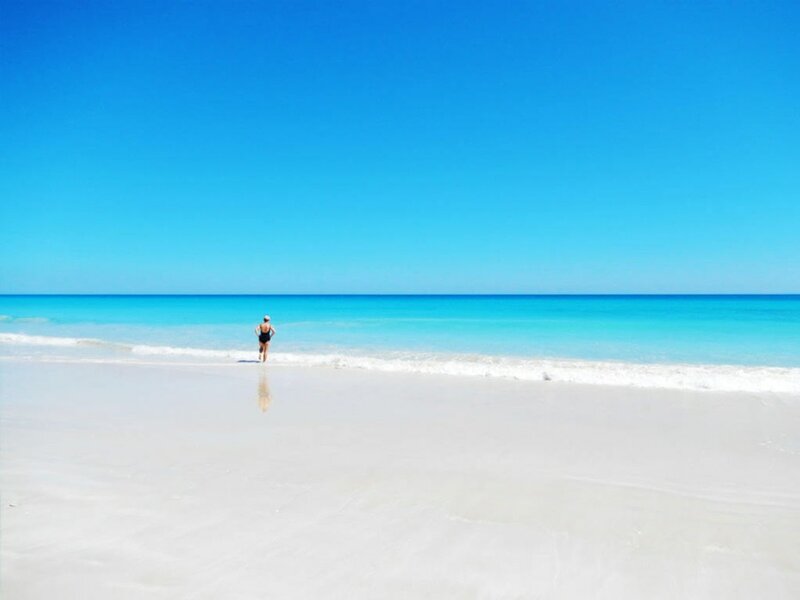 Cable Beach is more than 22 kilometres long with beautiful white sand, washed clean daily by tides that can reach more than nine metres. The water is crystal-clear turquoise and the gentle swells hardly manage to topple over as they roll up onto the almost perfectly flat beach. Cable Beach is also home to one of Australia’s most famous nudist beaches!